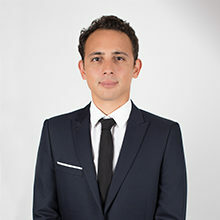 Anton Vallélian joined LALIVE in 2018 as an associate, after completing an internship at the firm. His practice focuses on domestic and international litigation, with particular emphasis on white collar crime and mutual legal assistance in criminal matters. Before joining the firm, Anton Vallélian worked as a paralegal in international arbitration at two leading Swiss law firm assisting counsel and arbitrators in several institutional and ad hoc international arbitrations. He was granted a Swiss National Science Foundation research fellowship and worked as a Visiting Researcher at Harvard Law School and as a teaching and research assistant at the University of Geneva specialising in human rights law. He assisted in various academic contributions in the fields of international arbitration, human rights law and criminal law. Anton Vallélian took the Bar in 2018, ranking first of his class. He holds a Bachelor (Major of the 2011 promotion; Schellenberg Wittmer Prize) and a Master of Laws (Prize for the Best Master’s Thesis 2013), as well as a Certificate of Advanced Studies in Legal Professions (2015) from the University of Geneva. He also holds a Certificate in Transnational Law (Major of the 2011 promotion) from the University of Geneva in collaboration with the Graduate Institute of International and Development Studies. He will defend his PhD thesis in public international law and human rights law in 2019.